Over the last year, we’ve seen waste in Charleston come to light like we’ve never thought possible. The DHHR spends over $1 Million on rent for a space they moved out of years ago. The state has no idea how many cars and trucks that we own, upkeep, and insure. Land the state has acquired through eminent domain remains unused, unmarketed, and untracked. Meanwhile the counties lose out on property tax revenue because the state doesn’t pay property taxes. In a time when pressures are on our county and state budgets, where’s the accountability? Whether you consider yourself a Republican, a Democrat, or somewhere in the middle, one of the things we can all agree on is that the government should be accountable to the people. The government should treat your tax money like you would treat your money as you sit down at the kitchen table to work out your monthly budget and pay your bills. That is of course, unless, your kitchen table was washed out by a 1,000-year flood. In which case, you may find yourself waiting more than two years for your government to deliver on the help that was promised. In that case, you may find yourself without a kitchen, let alone a kitchen table. After paying nearly $1 million for consultants to tell the state how to complete the forms and administer the program for federal aid, there has not been a single home rebuilt using the nearly $300 million available. It’s shameful. So how do we bring accountability back to the government? First, I propose greatly increasing the staffing of the State Auditor’s office, which has been central to bringing transparency and accountability to Charleston. Auditor McCuskey and his team uncovered the wasteful spending on the rent from DHHR. They have introduced WVCheckbook.gov which has allowed every citizen in West Virginia to see how their tax money is spent. WVCheckbook.gov is no small accomplishment. This new website has been ranked “The Best Transparency Website in the Nation!” They’ve returned $1 Million to the legislature from their budget by operating more efficiently while providing better service and giving raises to their employees. That sounds like operating government like a business to me. The legislative auditor needs more resources as well. When providing oversight to the other branches of government, how can the legislature properly perform this task without supporting the very offices that make that possible? There will be plenty of work to do in checking and balancing the spending of the other branches of government. We aren’t just talking about waste, fraud, or abuse, but also about the government acting with urgency and taking deliberate action when our people are in need. Delegate Zack Maynard and I have discussed these issues. He also believes your government should work for you, should answer to you, and be open about its operation. His track record speaks for itself. I urge your support of nominees for the legislature who will bring accountability back to the spending of your tax dollars. 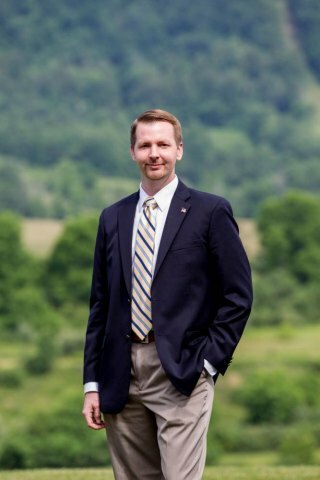 If you’re a resident of Cabell or Lincoln County in the 16th Delegate District, I ask for your support. In the House of Delegates, I will push for accountability, work with Auditor McCuskey and his team, and do everything in my power to spend your tax money as if it were my own. If you’re not in the 16th District, I hope you will demand that your representatives in Charleston work to bring accountability back to government. Together, with one voice, every West Virginian can demand responsible spending from our government.